Jumpstart! 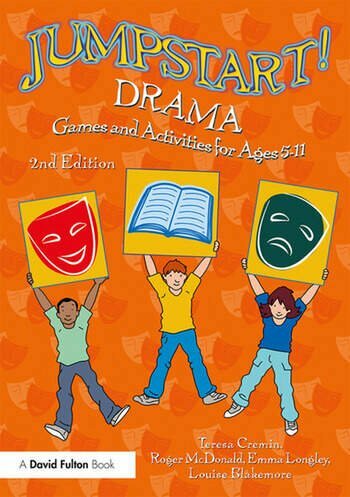 Drama contains more than forty engaging, practical, easy-to-do and highly motivating drama activities which will appeal to busy primary teachers who wish to enliven their practice and make more use of drama in line throughout their teaching. With all activities connected to well-known texts, this fully updated second edition now reflects picturebooks and novels published in the last five years, and is ideal for busy primary teachers who wish to encourage their pupils in drama using texts in a dramatic and motivating way. Teresa Cremin is Professor of Education at the Open University, UK, and author of numerous bestselling books, including Learning to Teach in the Primary School and Storytelling in Early Childhood. Roger McDonald is a Senior Lecturer at the University of Greenwich, Vice President of the United Kingdom Literacy Association and author of The Really Useful Drama Book and The Primary Teacher's Guide to Speaking and Listening. Emma Longley is a Senior Lecturer at the University of Greenwich, a primary school governor and a deputy regional leader/achievement coach for an inclusion charity. Louise Blakemore is an experienced class teacher, curriculum subject leader and leading literacy teacher across the South-East specialising in drama and the spoken voice.